A part of me is honestly just in shock that I’ve now run FIVE half marathons! It’s an accomplishment that I’m really proud of. 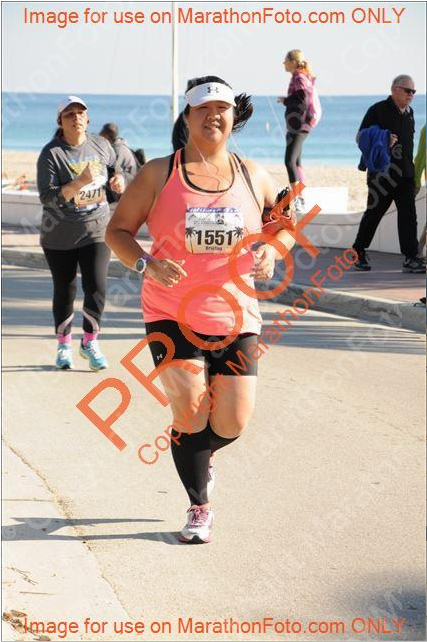 Yesterday’s A1A Half was actually the first half that I didn’t PR, but I still had a really nice morning…. minus miles 6 through 9 when I had a stitch in my side that just would not ease up. Bleh! I ended up with a 3:01 finishing time which is good enough for my second fastest half! Considering I crossed the finish line with 31.1 miles on my legs for the week I’m really happy with how my legs felt throughout the race. They held up and did their job! So, get this, I set my alarm for 3:30am on Sunday that way I would have time to eat breakfast and digest it before I walked over to the starting area to get in line for the port o’s. I guess I must have turned my alarm off instead of hitting snooze because I ended up waking up at 4:38!!!! I was panicked but I still made it out the door just after 5am. If I had woken up any later I might not have made it! Since the half started at 6am we all had a pretty great view on the sunrise over the beach. There’s not much to tell you about the race since I ended up just running most of it at a pace that felt nice and easy knowing I probably wasn’t going to PR. There were no super lows or big highs. The morning was gorgeous and I just generally enjoyed myself! It was the perfect ending to my half marathon season! I do remember thinking how different this race felt in comparison to Miami. At Miami I just felt so ON. I just keep reminding myself that not every race can be a PR day even though it would be really nice if that was the case! As a beginning runner it was “easy” to keep on PRing. Now I’m going to actually have to work hard for it! I’m ready to do that though!! My next race will be the Race for PAWS 5K/10K! I’m really excited to say that the race now has an official sponsor: waggle! Their generous donation will provide much needed medicine and IV fluids to the dogs and cats at PAWS Chicago! 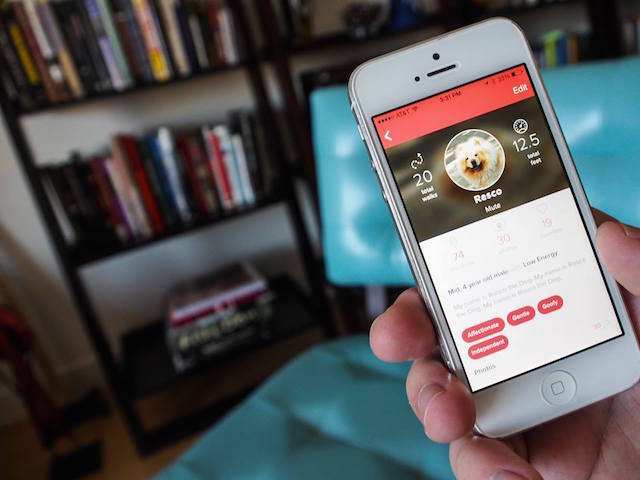 Waggle is an iOS app for dog parents that allows you to create a profile for your dog and then track the activities you do together! You can also use the app to find dog friendly parks, beaches and other public places. After I’ve had a chance to check out the app for myself I’ll be doing a thorough review for you! 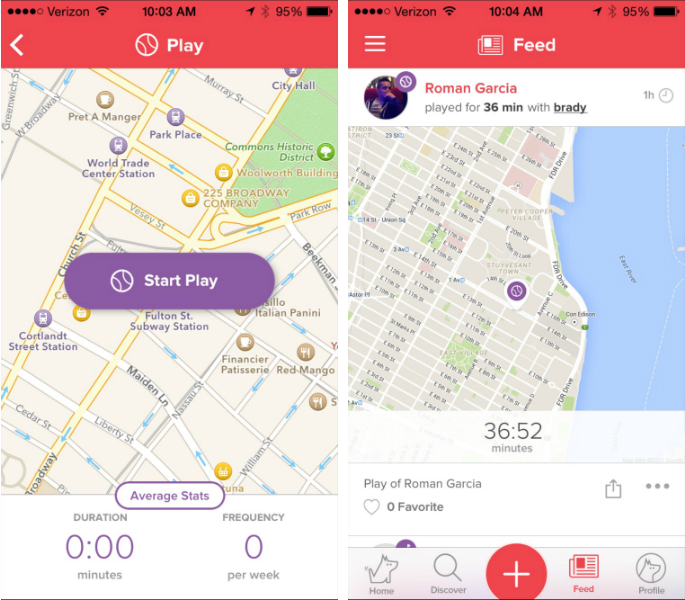 The app is FREE so check it out for yourself if you have a doggie! Megan from Meg Go Run has two fluffy kitties that will someday have a playdate with Cecil! Meg’s blog is just one of the best out there! She keeps it real, runs fast and lifts like a boss! Jess from Fairweather Runner is a super smart runner that double majored in Religion and International Relations with a focus on democratization in the Middle East. She is gearing up to race the Run the Bluegrass Half Livermore Half next month! Even more importantly, she has signed up to run the Miami Half next year! I can’t wait to have someone to hang out in the corrals with! Cori from She’s Going the Distance and I graduated high school together! Neither of us were runners then, but LOOK AT US NOW! 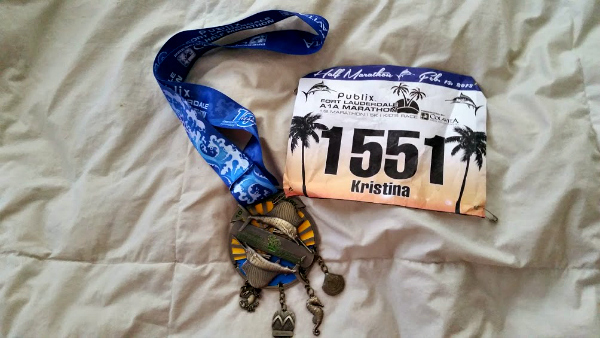 Actually just check out Cori and read this post about how she PR’d 9 half marathons in a row! It’s a good one! Thank you to everyone who has joined so far!!!! Congratulations on half marathon #5! Seeing you running in a tank and shorts is kind of mind boggling right now–we are SO FAR away from that weather here. I have to admit, I am starting to get jealous. Congrats on another half marathon!!! I have been late to a couple of races and it is mentally jarring! 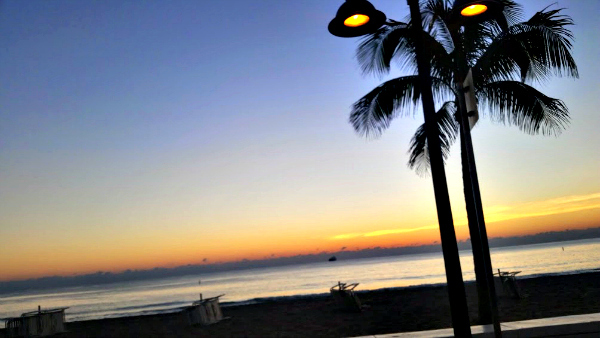 Thanks for the sunrise photo! Congratulations on completing your fifth half marathon! Even though you didn’t PR, it sounds like you did awesome–your second fastest half while dealing with a side stitch for three miles and having the pace feel nice and easy is huge! Plus, you felt great overall, which is awesome. I’m also in awe that you still got to the race on time after accidentally sleeping in! Overall, you deserve a huge kudos! Thanks Jennifer! It was a really nice race, I’m glad I impulsively signed up for it at the end of last year! Congrats on half marathon #5! You look really strong in that photo too 🙂 I like the medal for A1A – very unique. Haha, you flatter me so in that description. Haven’t used my Religion/IR degree in a loooong time. Looking forward to participating in the virtual Race for PAWS + hearing about your upcoming training cycle! Doesn’t matter if you haven’t used it in a long time, you still earned it and had some monumental life experiences that I’m sure where incredibly enlightening! Wow! Nice job. Half Marathons are my favorite race distance. I’m not much of a speed junkie, but I’m not great at the marathon either. 🙂 A half is my happy distance. Hi Emily! Haha, we’re the same!! I think the way you described yourself fits me perfectly, too! The half is definitely the distance I feel most comfortable with, although I really want to get better at the marathon! Congratulations on half marathon #5! Crazy how quickly they add up, right? Nice race photo too, your posture is really good! I bet I slouch at the end of the race haha. That is so great that you ran your second fastest time on tired legs without even really “trying”! Glad you made in there on time too:) Love that sunrise shot! Thanks Lisa! I was thinking about your comment while I was at the gym tonight and I hope that this race means come fall 2015 I’ll be running sub-3s with ease! You were awesome out there! I’m so glad I saw you cross the finish line. Congrats on number 5 and thanks on all of your encouragement for my first half! Thanks Kerry! I really wish I wasn’t wearing my earbuds and would have heard you! It would have been great to meet up! Congrats again on such an awesome half marathon debut! You look awesome strong! The smile is the best part. Again, that medal is drool worthy! Thanks Jenny! I always try to look alive when I see the camera guys, haha! Congrats on number 5!!!! I think it is nice that you got to race but just run, without the pressure and such getting to you. Races like that make remembering why we love this sport so easy!! YES! You are exactly right! Races like this reaffirm why running is really the best sport out there! Congrats on #5! You’ve come so far and really seem to enjoy races more now! It was really great to get to see you. I actually saw you at the turn-around on A1A but when I went to call out you looked down at your watch so I lost my nerve (I wasn’t positive it was you at the time)! You are right, I think I am enjoying them more! They used to give me so much anxiety. I worried about getting swept and being in pain and on and on. Now it’s nice to run knowing everything is going to be a-okay! I will have to come up your way next year. 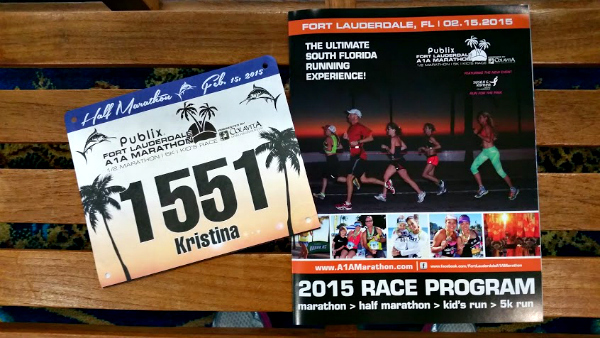 Maybe we can do the Sarasota Half Relay together! Congrats on #5, and doing so well! You really are getting faster! I’m glad you made it in time, too. Oversleeping for a race is one of my worst nightmares! Hey Hanna! I’m actually working on a blog post draft right now about my 2016 ultra plans! I have my 50K picked out and I have my eye on a 50-miler but I’m not 100% sure about it yet! Congratulations on your 5th Half! That’s awesome! Thanks Shannon! The weather really was perfect for running this weekend! WooHoo!! 5 half marathons is a huge deal – you are awesome!! Bummer about the stitch – way to run through it!!! Thanks Kim! I think a few months ago I would have gotten the stitch and given myself permission to walk through it, but this time I was able to just dial back the pace and mostly run through it until it finally went away. That was a big win for me! Great job, Kristina! 31 miles on your legs for the week? You’re a machine! I know what you mean about working for those PRs. It makes them all the more sweeter, though! Omg your alarm not going off… I think that is every runner’s nightmare! Well, now that it happened to you once it probably won’t happen again. I am amazed that you got ready in less than a half hour. I need to go to the bathroom at least 15 times before a race. The alarm thing was crazy. When I woke up and checked the clock I literally jumped out of bed! Cecil had been sleeping on top of me and he got tossed a little bit! Oops! I DID have to go to the bathroom a million times. I went 3X at the starting line even though I was only there for 45 minutes! Big congratulations on your 5th half marathon! Seriously, what a cool accomplishment. I hope you ate lots of delicious food after?! (My favorite thing to do after a race haha!) The sunrise slanted beach pic is beautiful! #5 in the books! Nice work! You know, you can’t always PR 😉 Getting your second best time without really tapering and with some race-morning mishaps is still impressive. Congratulations! Getting out of vacation mode and back into blogging mode. I’ve missed so much these past two weeks!!! Congratulations on another great race!!! It looks like your faster speed is becoming the norm and that you can only get faster from here – you are raising the bar for yourself, my friend. All of that hard work and consistent training is paying off!!! I saw that you posted something about the virtual race! I’m definitely planning on signing up and will take a look at my schedule to figure out what day/time works best. It looks like you have a lot of people supporting you and racing for a good cause. Awesome!!! Thanks Kirsten! I do feel like what I considered my faster speed in the late summer/fall has become a comfortable speed for me (most days)! I’m excited that you’re going to join in the virtual race! I’ve been so surprised at how many people have signed up already. I have the most supportive blog friends!